Imagine, if you will, a ‘house of fiction’ harbouring many writers, who seem to have corralled themselves into different wings of the house. In one wing no one ‘owns to’ being a poet, but in the adjacent wing there are former poets, who made the transition to writing prose when the ‘winds of fashion’ arose and there ceased to be a craze for ‘declaiming poems in public places’ to ‘cleanse the world’. These former poets are evasive about the motives for their transition, and the narrator is a bit scornful about them since their poetry was ‘no more than badly punctuated prose arranged in lines of arbitrary length’. *chuckle* I know just what he means. I’m reading Sappho at the moment, in preparation for my next Masterclass at Melbourne University, where Germaine Greer is the lecturer. I think I need to read this one … in tomorrow’s Monday musings I’m going to start with a brief reference to the standing of poets! I seem to have read a a couple of books lately where poor poets seem to be on the outer. How are you liking Sappho? I’ve never read any of hers, except for small snippets in novels. It will be interesting to hear Greer. Sappho is interesting because almost everything is fragments. I’ve bookmarked some that I think are quite lovely, but I am not as yet very excited about her. There’s not even as much extant as the Epic of Gilgamesh (a work which I do find exciting) but I am to discern why the loss of her poetry is a tragedy. I mean, how excited would we be about Shakespeare if we only had 2-3 lines of his sonnets and some scraps of his plays? Perhaps *ooh, heresy* the enthusiasm for Sappho is because she’s a rare female among Ancient Greek male poets rather than because her stuff is so profound? Or perhaps I have failed to grasp it. But if anyone can deal with my doubts, Greer can! No, it’s really just a thought I had that I will use as an intro to something else far more general. Let us/me know what Greer says. Sometimes just surviving does make it worthwhile remembering even if the content perhaps isn’t profound – but it will be interesting to hear if Greer does, with her scholarship, read more into it. I’ll do my best. I can’t wait to see her in person! It sure will be interesting! I enjoyed your sensational snippet on A Million Windows (which I haven’t read). Are there separate rooms in the ‘house of fiction’ for short story writers and novelists? You might find Ivor Indyk’s interview with Murnane interesting. (Part of it is re-produced on the Sydney Review of Books site.) Murnane has some good things to say about his images and writing methods. LOL There are separate wings for all kinds of writers, but the narrator is choosy about who he associates with – nobody goes anywhere near the romance writers, for example. I have seen that interview, thank you, I found the link on the Giramondo site. I’ve already linked it on my draft review, but I’m suggesting that people delay viewing it until after reading the book, whereas I think that the one on ABC RN could profitably be viewed before or as a companion to reading the book. 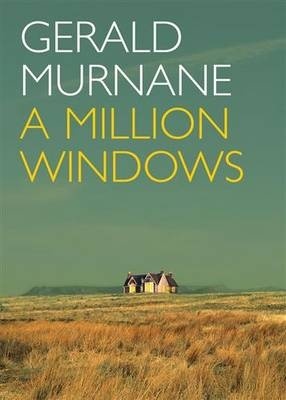 It’s not that the Sydney Review one has spoilers – I doubt if anyone reads Murnane for a plot – IMO it’s more that it makes more sense when you’ve read the book.